Charles William "Billy" Haines was born today, January 2, in 1900 in Staunton, Virginia. 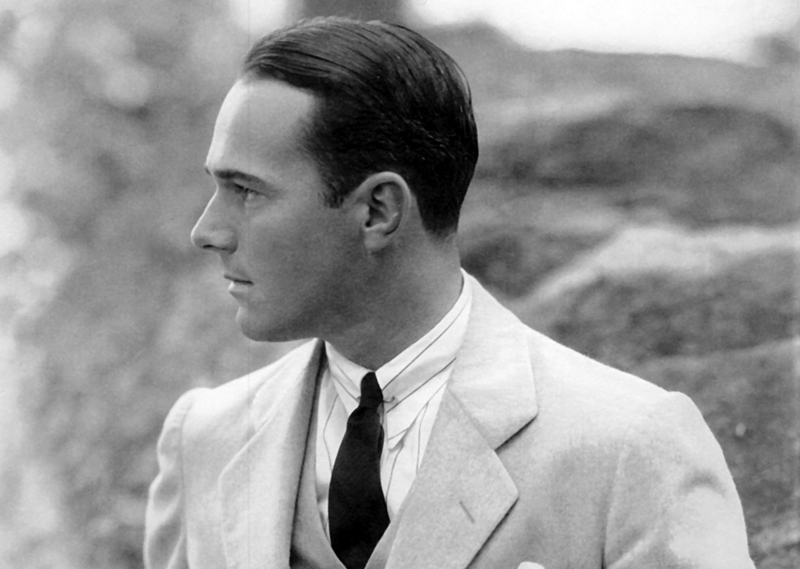 Known professionally as William Haines, he was for a time a Hollywood superstar, but gave it all up for the man he loved. Joan Crawford described Haines and his partner of 47 years as "the happiest married couple in Hollywood." Haines ran away from home at the age of 14, accompanied by an unidentified young man to whom Haines referred as his "boyfriend." The pair went first to Richmond and then to Hopewell, which had a reputation for immorality. Haines and his boyfriend got jobs working at the local DuPont factory, producing nitrocellulose for $50 a week. To supplement their income, the couple opened a dance hall, which may have also served as a brothel. His parents, frantic over his disappearance, tracked him through the police to Hopewell. Haines did not return home with them, remaining instead in Hopewell and sending money back home to help support the family. The couple remained in Hopewell until most of the town was destroyed by fire in 1915. Haines moved to New York City. Whether his boyfriend accompanied him is unclear. Following the bankruptcy of the family business and the mental breakdown of George, Sr., the family moved to Richmond in 1916. Haines returned home in 1917 to help support them. With his father recovered and employed, Haines returned to New York City in 1919, settling into the burgeoning gay community of Greenwich Village. He worked a variety of jobs and was for a time the kept man of an older woman before becoming a model. A talent scout discovered Haines as part of the Metro-Goldwyn-Mayer (MGM) Pictures' "New Faces of 1922" contest and the studio signed him to a $40-a-week contract. He was off to Hollywood. Haines' career began slowly, as he appeared in extra and bit parts, mostly uncredited. His first significant role was in Three Wise Fools (1923). He attracted positive critical attention and the studio began building him up as a new star. However, he continued to play small, unimportant parts at MGM. When his home studio lent him to Fox in 1923 for The Desert Outlaw, he got the opportunity to play a significant role. In 1924, MGM lent Haines to Columbia Pictures for a five-picture deal. The first of these, The Midnight Express (1924), received excellent reviews, and Columbia offered to buy his contract. The offer was refused and Haines continued in bit roles for MGM. Haines scored his first big personal success with Brown of Harvard (1926). It was in Brown that he crystallized his screen image, a young arrogant man who is humbled by the last reel. It was a formula to which he was repeatedly returned for the next several years. On a trip to New York in 1926, Haines met James "Jimmie" Shields (right), possibly as a pick-up on the street. Haines convinced Shields to move to Los Angeles, promising to get him work as an extra. The pair was soon living together and viewed themselves as a committed couple. Haines found box-office success with Little Annie Rooney (1925), costarring Mary Pickford, and Show People (1928), costarring Marion Davies. Haines was a top-five box-office star from 1928 to 1932. He made a successful transition into "talkies" in the part-talking film Alias Jimmy Valentine (1928). His first all-talking film, Navy Blues, was released the following year. He starred in Way Out West in 1930. The 1930 Quigley Poll, a survey of film exhibitors, listed Haines as the top box-office attraction in the country. In 1933, Haines was arrested in a YMCA with a sailor he had picked up in Los Angeles' Pershing Square. Louis B. Mayer, the studio head at MGM, delivered an ultimatum to Haines: Choose between a sham marriage (also known as a "lavender marriage") or his relationship with Shields. Haines chose Shields and they remained together for almost 50 years. Mayer subsequently fired Haines and terminated his contract. He made a few minor films at Poverty Row studios, then retired from acting. Haines never returned to acting, but continued to receive offers for film roles. During production of Sunset Boulevard (1950), Haines was offered a cameo role in the film, which he declined. He later said, "It's a rather pleasant feeling of being away from pictures and being part of them because all my friends are. I can see the nice side of them without seeing the ugly side of the studios." Haines and Shields began a successful dual career as interior designers and antique dealers. Among their early clients were friends such as Joan Crawford, Gloria Swanson, Carole Lombard, Marion Davies, and George Cukor. Their lives were disrupted in June 1936 when about 100 members of a white supremacist group dragged the two men from their El Porto, Manhattan Beach home and beat them, because a neighbor had accused the two of propositioning his son. The incident was widely reported at the time, but Manhattan Beach police never brought charges against the couple's attackers. The child-molestation accusations against Haines and Shields were unfounded and the case was dismissed due to a lack of evidence. The couple finally settled in the Hollywood community of Brentwood and their business prospered until their retirement in the early 1970s, except for a brief interruption when Haines served in World War II. Their clients also included Ronald and Nancy Reagan when Reagan was governor of California. 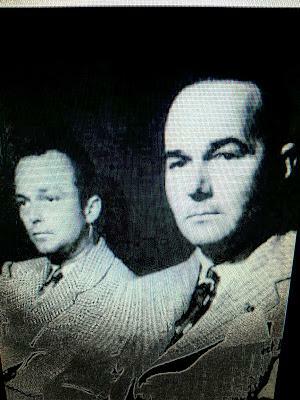 Haines and Shields remained together until Haines' death. On December 26, 1973, Haines died from lung cancer in Santa Monica, California, at the age of 73. Soon afterward, Shields took an overdose of sleeping pills. His suicide note read in part, "Goodbye to all of you who have tried so hard to comfort me in my loss of William Haines, whom I have been with since 1926. I now find it impossible to go it alone, I am much too lonely." They were interred side by side in Woodlawn Memorial Cemetery in Santa Monica. For his contribution to the motion-picture industry, William Haines has a star on the Hollywood Walk of Fame located at 7012 Hollywood Blvd. William Haines Designs remains in operation, with main offices in West Hollywood and showrooms in New York, Denver, and Dallas. Didn't know this name at all, but feel I should have. Wisecracker is one of my favorite books; such a great story, a great love story, too.